A former apprentice at Sushi Saito had set up his own shop. 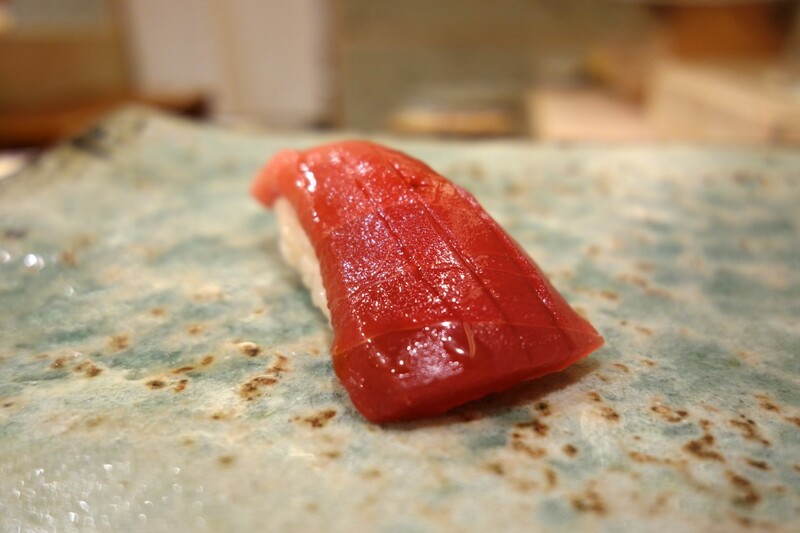 The chef is a mere 27 years old, and trained for 5 years at Saito, as well as two years at Kanesaka and two years at Sushizen (Ginza branch of the 2* Sapporo sushi-ya). Given that I would be going to Saito the following day, this would be a real test to see how closely he could match his former master. On the whole, the meal was excellent. Starting with the otsumami, the torigai sashimi (the last week it is in season) with a squeeze of suidachi as well as the bonito were outstanding, especially the latter which had a rich, smoky flavour – easily on a par with that served at Saito the next day. Less successful was the execution of the tako, which unfortunately was very chewy, particularly when compared with the melt-in-mouth tender version at Saito. 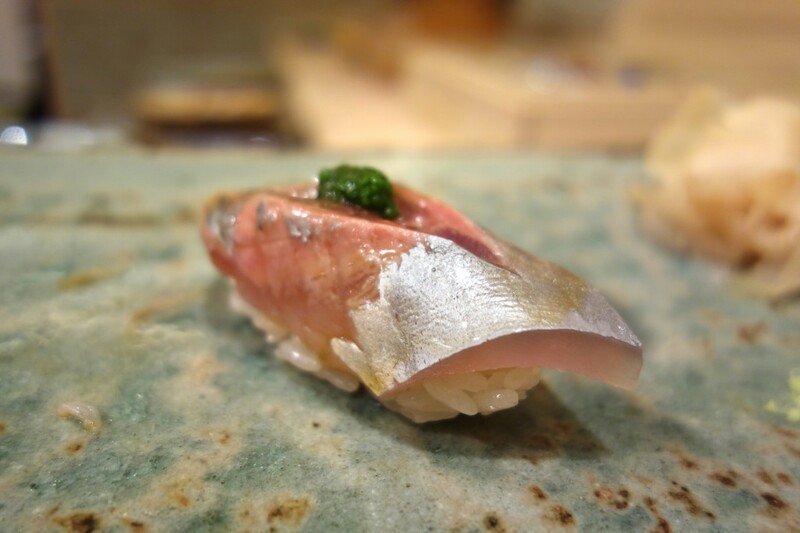 The shari was well seasoned (initally, I thought perhaps overseasoned) – the chef uses just akazu and salt – and well balanced with the fish. 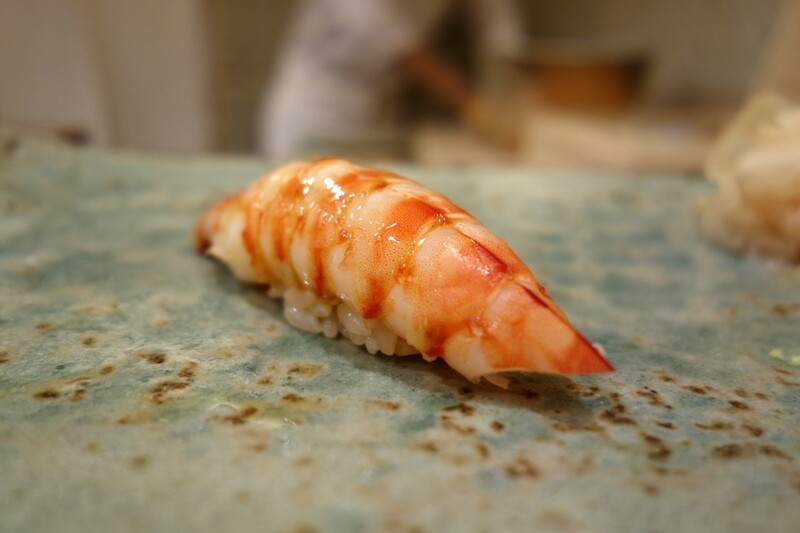 The standouts were the kuruma ebi and the aji – the latter being one of the finest pieces of sushi I have eaten all year, without a doubt, a class above that of Saito’s the following day. 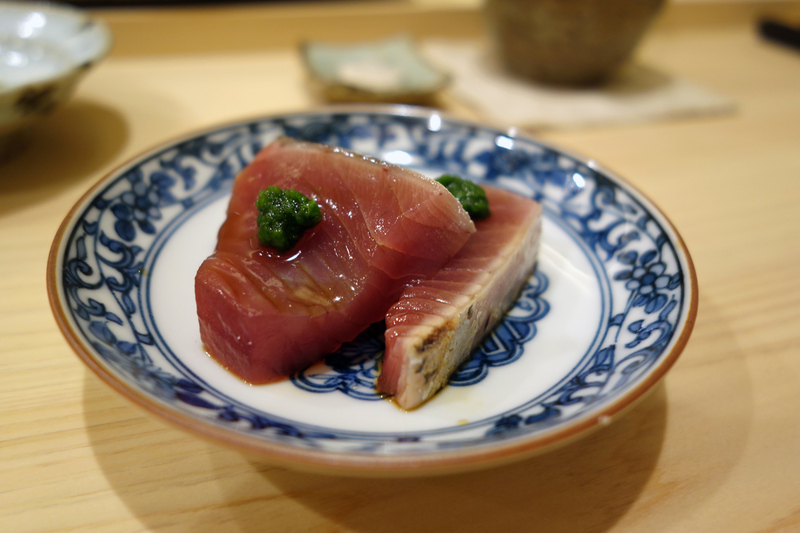 Tuna was mixed – the chiaiguchi (a half akami-half chutoro cut) had good depth of flavour, however, the o-toro was a little disappointing – whilst it had good flavour, it was a little stringy. The chef is kind and friendly – he remembered me from my visits Saito, despite not seeing me for over two years – and given his age, he will undoubtedly go far. 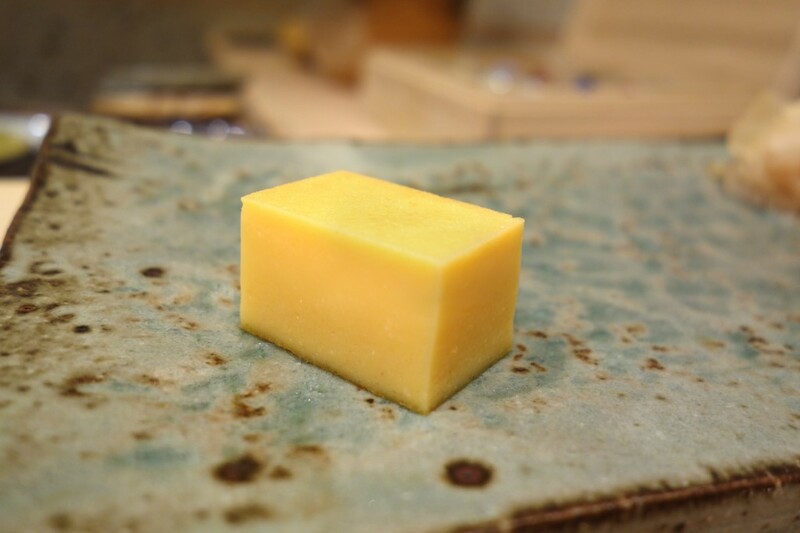 At present, he has no help other than his wife, and works overtime during the meal – he certainly did his former master Saito-san proud (although admits to being terrified that he might one day visit!). At just over JPY16,000 for the dinner omakase, it was an absolute steal. I would be surprised if this sushi-ya did not get a Michelin star this year, after which I fear it will be ruined by food tourists; I have withheld its name for now.